Within the competitive world of trucks, we know there are plenty of options for automotive shoppers to choose from. However, the new, award-winning Chevrolet lineup consists of impressive truck models certainly worth your careful consideration. 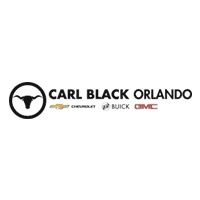 Seamlessly combining rugged capabilities with a surprisingly refined interior packed with premium features, there is no surprise why more and more drivers from Orlando, Sanford, Altamonte Springs, Winter Park, Tampa, and Cocoa Beach are buying a new Chevy. Which Chevy Truck is Best For You? There are several attractive Chevrolet truck models for drivers to choose from, including a wide range of trim levels, bed sizes, configurations, and engines. We’ll take a look at just a few of the many compelling features of each of the Chevy truck models available on our lot, to help you determine if they’re right for you. The Chevrolet Colorado is a midsize truck that checks all of the right boxes for many pickup enthusiasts. Whether you’re seeking a dependable work truck or a thrill-seeking off-roader, this model is sure to impress. Thanks to an affordable starting price of only $20,000, a generous plethora of ingenious safety features, excellent fuel economy, and appealing technology, the Colorado proves to be the perfect choice for a great deal of shoppers. The Chevrolet Silverado 1500 is simply the most dependable, longest-lasting full-size pickup on the road today. A price tag beginning at a competitive $28,085 is a steal for all this truck can do. With horsepower, torque, and high-tech amenities to spare, the Silverado 1500 allows you to work not only harder than you have ever before, but also smarter. Once difficult tasks to complete around the Orlando, Sanford, Altamonte Springs, and Winter Park areas will be made easy with this truck. Last and not least, the Chevrolet Silverado 2500HD and 3500HD. Look no further than the Silverado 2500HD or the 3500HD if you’re in need of a heavy-duty truck that works just as hard as you do. In fact, the automotive experts over at J.D. Power named it “the most dependable large heavy-duty pickup, three years in a row.” And it could be yours for a price starting at only $33,960. The Chevrolet Colorado boasts best-in-class maximum horsepower and is America’s most fuel-efficient pickup, so you can enjoy tremendous overtaking power on the highway and infrequent stops fueling up. Available 4G LTE Wi-Fi® will keep you connected behind the wheel, and innovative safety features like Lane Departure Warning, Forward Collision Alert, StabiliTrak® with Traction Control, and a rear vision camera will keep you and your family safe. The Chevrolet Silverado 1500 offers the best-in-class horsepower, and also best-in-class fuel economy for a V8 engine. And if that wasn’t impressive enough, this pickup also has the best-in-class V8 towing capability of up to 12,500 pounds. An intuitive and advanced infotainment system allows for easy access to your favorite applications on-the-go, while groundbreaking safety measures such as Safety Alert Driver Seat, Forward Automatic Braking, and Automatic Crash Response allows for peace-of-mind. The Chevy Silverado 2500HD and 3500HD were built for the long haul and will serve you very well for many miles down the road. With a maximum tow rating of up to 23,300 pounds, there won’t be many boats you can’t tow around the state of Florida and beyond. Intelligent features like Tow/Haul Mode, StabiliTrak® with Trailer Sway Control, Hill Start Assist, and Digital Steering Assist will make towing all of the weight easy and safe.